Merry Christmas fellow bloggers and readers. I hope you’re all having an amazing day. I thought I’d do a quick OOTD. 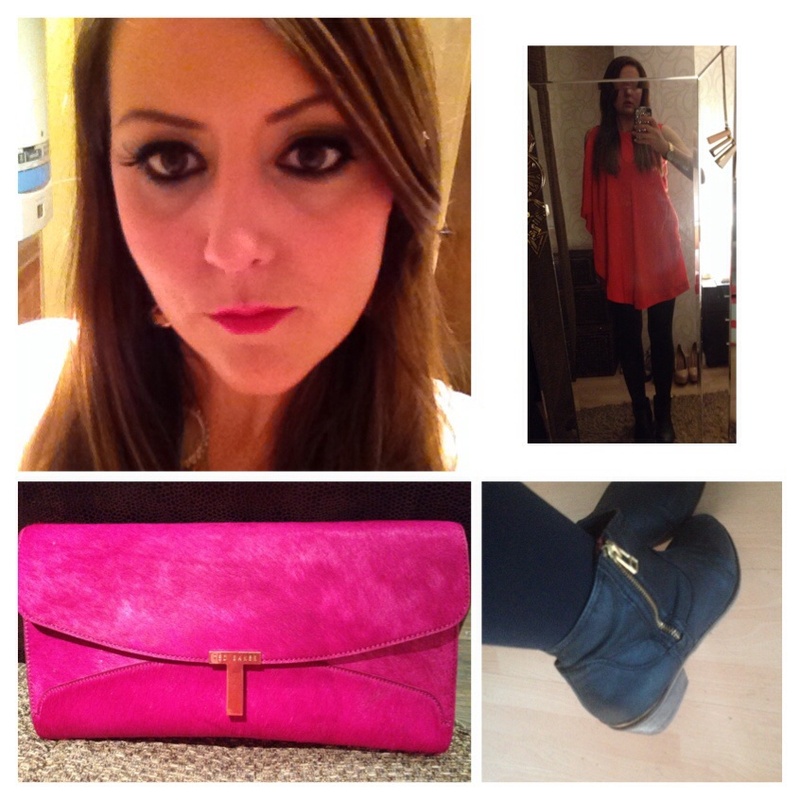 I went for my Ted Baker Bolty, Moda in Pelle boots, Michael Kors watch, Pink & Gold (we need a bit of gold at Christmas) Ted Baker clutch and a smoky eye . I’m looking forward to seeing all your outfits so please share. December 25, 2013 in OOTD. ← What’s the story Soap and Glory?